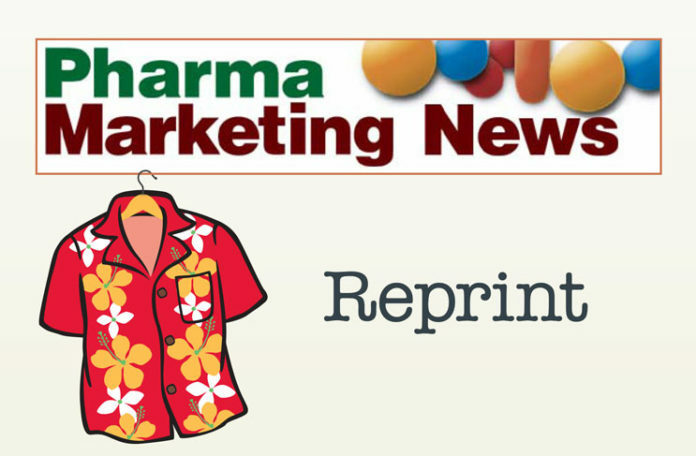 Welcome to Pharmaguy’s Social Media Compendium, which is a catalog of articles, blog posts, podcasts, and surveys, all documenting the use of social media by the pharmaceutical industry from 2005 through today. 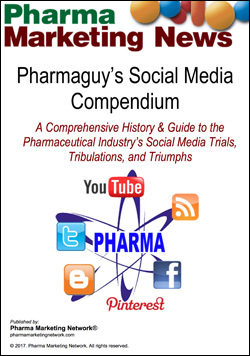 Through this compendium you are able to relive the fascinating history of the pharmaceutical industry’s social media trials & tribulations and ultimate triumphs. 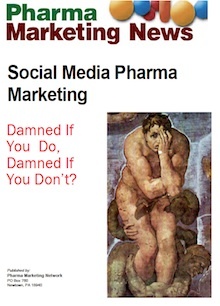 http://bit.ly/pgsoccat Social Media Pharma Marketing Damned If You Do, Damned If You Don’t? When you complete the questionnaire, you’ll be able to see the average of all responses to date and get a better idea of how you and your company compare to that average.